Small businesses in Fife have benefitted from more than £26m in rates relief since the launch of the Scottish Government’s Small Business Bonus Scheme (SBBS) in 2008 — more than any of the 33 Scottish local authority areas outside Glasgow, Highland and the City of Edinburgh. The Local Council Elections are almost upon us. On 3rd May we will each vote for a total of three or four councillors, in order of preference, to serve on Fife Council. Last week in Parliament I was pleased to vote for the Scotland Bill, which passed unanimously. MSP for Dunfermline, Bill Walker, has welcomed news that projects assisting ex-servicemen and women back into civilian life are set to receive an £80,000 funding boost. Following months of consultation, Carnegie College has confirmed it will seek the creation of a Regional College for Fife before a Tertiary Education Institute with Edinburgh’s Napier University. 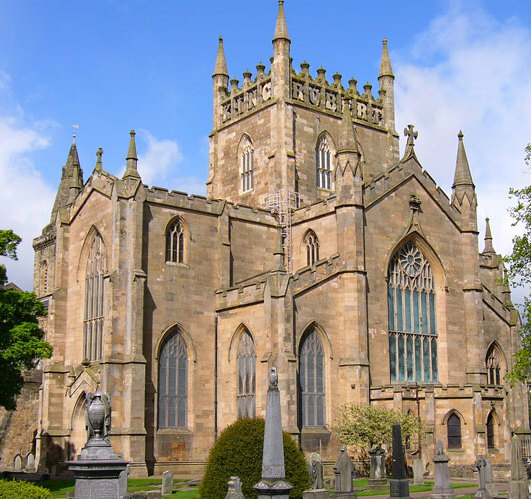 Tourism in Dunfermline and West Fife looks set to enjoy a boost, thanks to a Fife-wide series of visitor guides and a new branding strategy — initiatives welcomed by local MSP Bill Walker. 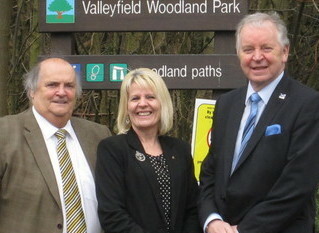 That the Parliament commends what it considers to be the hard work and dedication of the Valleyfield Heritage Group in West Fife; understands that the group consists of local volunteers whose stated aim is to preserve the Valleyfield woodland and return the area to its former glory; congratulates the group on the success of its recent clean-up, in which volunteers of different ages removed rubbish and undergrowth, and hopes that the enthusiasm and energy of the volunteers will encourage more villagers and young people to take interest in the woodland and preserve it for their own children and grandchildren and also for visitors to the area. Schoolchildren from Dunfermline are the latest to benefit from Big Lottery grants, aimed at encouraging involvement in sports. That the Parliament congratulates David Austin, owner of the Dunfermline café-deli, Reuben’s, on brewing what it understands to be the town’s first beer in over 200 years; understands that Mr Austin has named the beer, de Brus, after the Bruce clan, and that it has been given the “thumbs up” from Lord Elgin; notes that it is a traditional Scottish beer with a nod to the past brewing history of Dunfermline; considers that innovation is important for small businesses, particularly in what it believes are difficult economic times, and wishes Mr Austin every success with his efforts to have de Brus adopted as Dunfermline’s local beer. On Saturday, 7th April 2012, following a Hearing with the Disciplinary Committee, I was expelled from the Scottish National Party (SNP). The Committee upheld the Complaint from the Party’s National Secretary that I had withheld from the Party information about unproven allegations concerning my former marriages when applying to become an approved Parliamentary Candidate for the 2011 Scottish Elections. I deny that such was the case and still maintain that I completed the relevant application form in a full and proper manner. West Fife Villages Councillor Wishes Council Candidates Good Luck!